Gravity’s Rainbow by Thomas Pynchon (kind of…) ?/? Russell T.Davies picks Stephen King’s Under the Dome in the Guardian’s Books of the Year 2010. It strange that his choice only appears on the Guardian iPhone app and not the website. Perhaps the paper don’t want to fully endorse such a commercial author. Or Russell T.Davies. I’ve only read a few hundred pages of Under the Dome, a novel which ranks as one of King’s longest. 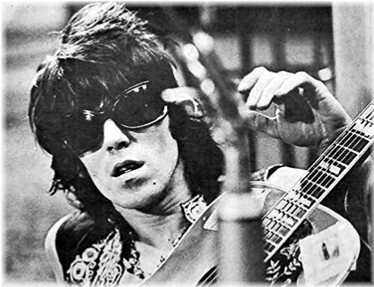 And most ambitious – he claims to have delayed writing it for years until he matured sufficiently as a writer. It’s easy to understand his caution. A deceptively simple premise (an American town is encased by an invisible yet inpenetrable force field) is handled with great skill to unravel a complex story with a huge cast of characters. The opening chapters, dealing with the consequences from the day when the dome falls, are brilliantly handled and a lesser writer would have failed in setting up the book so brilliantly. Once King’s outstanding opener has passed the book settles down into character study, carefully sketching out who’s who as the horror of the situation begins to sink in. I’m going to be in for a long ride, although Davies reckons that the last 100 pages of The Dome are the best that King has written, so the journey should be worth it. At that moment, I sensed I was not alone. Would you like to be scared? I think I have the solution. 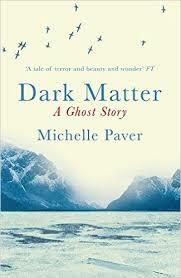 Dark Matter is an intriguing ghost story and one perfect for the run up to Halloween. Michelle Paver weaves a delightfully spooky tale with a 1930s Arctic setting, the background of intense cold and lack of daylight very fitting for a story dealing with loneliness, paranoia and fear. Dark Matter takes the form of the journal of Jack Miller as he joins an ill fated expedition to the remote bay of Gruhuken. He’s an edgy young man, conscious of the class distinction between himself and his fellow adventurers, and at first finding himself unable to establish any affinity with them. Paver plays on this well, with Jack picking up on the slightest tension which sets the reader up for what’s to come, where an overactive mind is left to work a touch overtime. At first it all appears to be familiar territory of the ghost story. The expedition charters a boat and the Captain is reluctant to take them all of the way; there’s something unspeakable that happened at Gruhuken. Eventually arriving, the crew try to dissuade them from tearing down the encampment of previous settlers. There’s a distinct aroma of folklore and superstition. In the midst of this Jack thinks he has encountered a ghost, and whilst reasoning that a ghostly apparition can only frighten and not harm, he struggles to keep his thoughts rational. This is an engaging and scary novel that’s highly recommended.